Watch the video above to hear Jan Serr speak about her show “Summer Dances” at The Museum Of Wisconsin Art On The Lake. With over twenty solo exhibitions and a profusion of paintings and prints in over forty public collections including the Milwaukee Art Museum, Jan Serr ranks high among Wisconsin artists. The artist's newest series of one-of-a-kind prints is an exploration of color through rich and joyful views of the natural world. Bright reds, greens and blues highlight the vivid imagery of a certain folklore where deer run, fish play and birds sing to a new day. Serr studied at the Wisconsin Conservatory of Music during the 1950s and later enrolled at Carroll University as a music major. She decided to explore other areas of study and transferred to the University of Wisconsin–Milwaukee (UWM), where she studied with visual artists Schomer Lichtner, John Colt, Lawrence Rathsack, and Fred Berman. 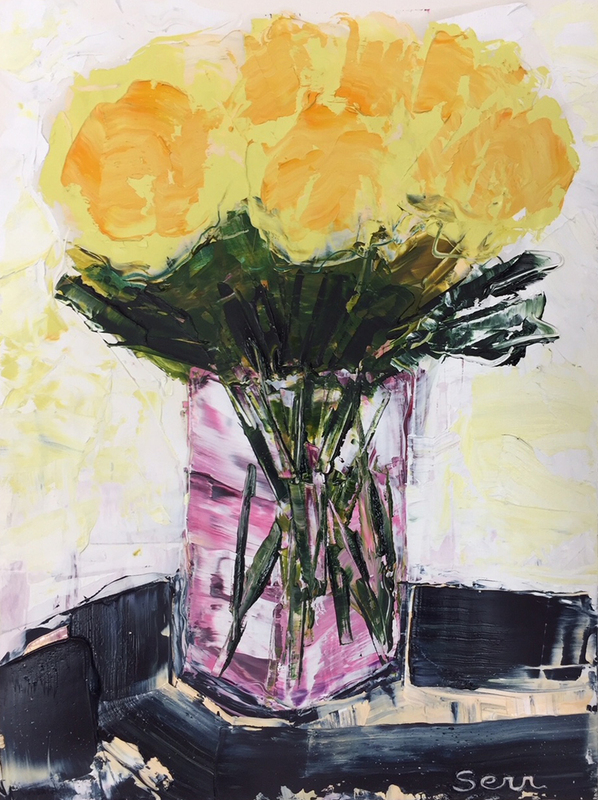 Early influences include the West Coast Figurative Movement painters such as Richard Diebenkorn, Nathan Oliveira, and Wayne Thiebaud, as well as mid-century European artists, most importantly Max Beckmann, Oskar Kokoschka, and Emil Nolde. Serr received her bachelor of arts degree from UWM in 1964 and went on to complete her studies in the university’s MFA program. Art by Jan Serr is represented in many notable collections, including the following museums and public institutions: Milwaukee Art Museum, Milwaukee, Wisconsin; University of Wisconsin–Milwaukee, Milwaukee, Wisconsin; Haggerty Museum of Art, Marquette University, Milwaukee, Wisconsin; Racine Art Museum, Racine, Wisconsin; Paine Art Center, Oshkosh, Wisconsin; Rahr-West Museum, Manitowoc, Wisconsin; Wingspread, The Johnson Foundation, Racine, Wisconsin; Ontario Museum of Art, Toronto, Ontario; Canada Council, Ottawa, Ontario; Hart House, University of Toronto, Toronto, Ontario; and Mount Allison College, Mount Allison, New Brunswick. In addition to private collections, Serr’s work is held by these corporations: Quarles & Brady, Milwaukee, Wisconsin; Wells Fargo, Milwaukee, Wisconsin; Norwest Bank, Milwaukee, Wisconsin; Johnson International, Racine, Wisconsin; Spectrum Brands, Madison, Wisconsin; Dow Chemical, Midland, Michigan; Piper, Jaffray, Minneapolis Minnesota; Sprint, Kansas City, Missouri; Brigham Women’s Hospital, Boston, Massachusetts; Reader’s Digest, Pleasantville, New York; Bank of Montreal, Montreal, Quebec; Bank of Nova Scotia, Toronto, Ontario; Imperial Oil Ltd., Toronto, Ontario; Shell Oil Canada, Toronto, Ontario; and Gulf Oil Canada Ltd., Calgary, Alberta. In 2010, Serr was awarded the Distinguished Alumnus Award in the Field of Art and Design by the University of Wisconsin-Milwaukee Alumni Association.